*** We have heard community feedback and we understand that we haven't used Kickfurther in a while. Instead of creating a Co-Op for existing inventory, this Co-Op will be used for inventory we have on order and with higher profit to attract supporters who have not worked with us yet. You will have an excellent experience and early payback is highly likely as we see this platform as a way to consistently fund our inventory. Let us prove to you how we can be a consistent partner in earning profit together! Thank you for your support on our first two co-ops, which we completed in the past two years. In talking with the Kickfurther team, we see an opportunity now to use the platform as a primary financing tool for existing inventory and new product to be manufactured in a series of smaller sized co-ops throughout the year. We have the track record with the initial co-ops and have always been in good standing with any other cash flow partners, so we hope you will join us to create a winning partnership moving forward. 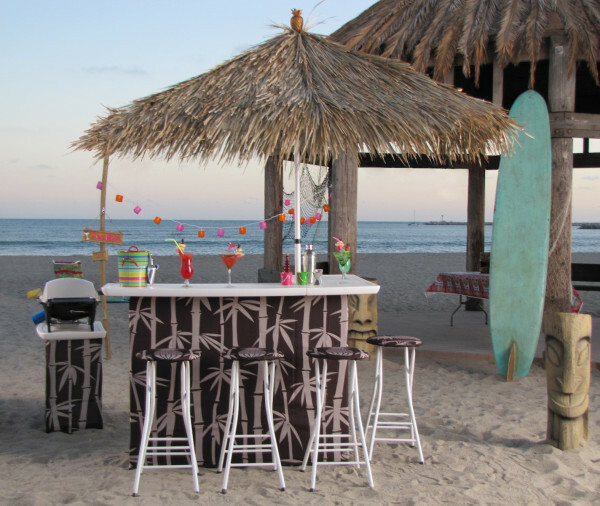 We have many exciting developments including a partnership to OEM our product to an existing licensee of the NCAA and NFL, the sourcing of a real thatch palapa product (will be our new #1 seller) and we will be implementing our own printing operation here in the USA. The co-op was completed within the timeline and the company was communicative. For extra points, even though not all three of consigned SKUs sold well, the company used funds from sales of other SKUs to make sure the co-op would be completed on schedule. Although nearly two months late, we had pretty in-time communication. co-op is 2 months past due, but company kept us update every once a while and it is finally paid off. The company was late, but after some communication, they paid back 40% of the raise, in matter of 3 weeks. Did not pay back on time and did not make it up to investors. Didn't go as planned but in the end it was paid in full and had communication. Tripped up at the end in both communication and repayment, finished eventually. NOTE: KF censors and ignore users who are unhappy with KF letting fraudulent co-ops in and leaving us holding the bag. Invest carefully. How would you rate Best of Times LLC?